Ty Tessmann 100% Racing. Nothing Less. - A real difference-maker for buggies and truggies! If it's good enough for renowned driver Ty Tessmann, you can be confident installing it in your ride! The Speed 21XZ-B Spec. II Ty 110% long stroke nitro engine continues the O.S. Speed legacy, with improvements that paved the way for Ty to take first place in the Nitro Truggy division at the ROAR Fuel Off-Road National Championships. 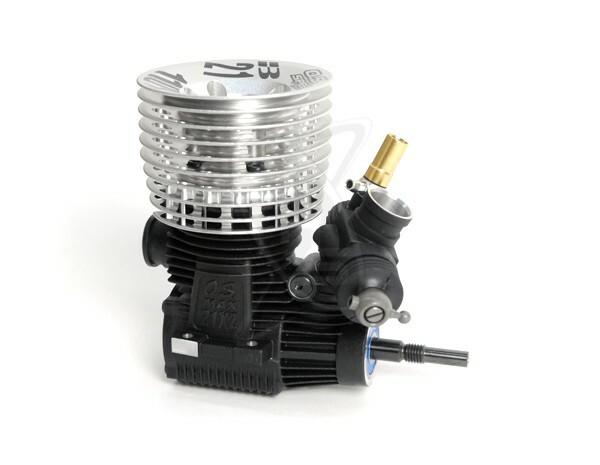 The engine is available alone, or as part of a set with a T-2090SC exhaust pipe and manifold that offers lots of tuning options for truggy racers. The Speed 21XZ-B Spec. II Ty 110% is being produced in limited quantities, so get yours today. The Speed 21XZ-B Spec. II Ty 110% is being produced in limited quantities, so get yours today.